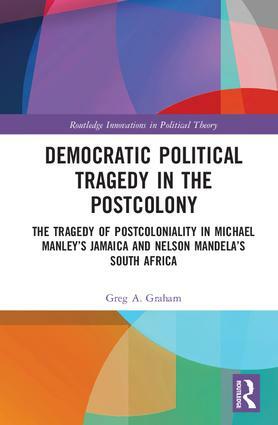 A ground-breaking work in Africana political thought that links the plight of progressive political endeavors in Africa with those in the Diaspora and beyond, Democratic Tragedy in the Postcolony engages with two of the defining political sagas of the postcolonial era. The book presents Michael Manley of Jamaica and Nelson Mandela of South Africa as tragic political leaders at the helm of popular democratic projects that run aground in the face of the constraints that a subordinate position in the global economy presents for such endeavors. Jamaica’s experiment with democratic socialism as an alternative path to development at the height of the cold war is considered alongside post-Apartheid South Africa’s search for a development model consistent with the demand for civic empowerment and equitable distribution of social goods in the aftermath of Apartheid. Democratic Political Tragedy in the Postcolony theorizes the defining tragic impasse and the telling vacillations by which the postcolonies in question are brought to the neoliberal catastrophes that currently prevail.